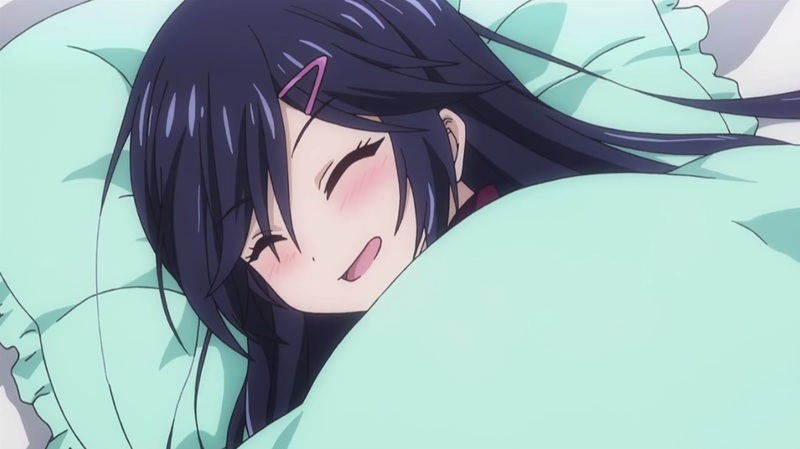 Even though we’re approaching more towards the “end” of the season, I thought I would share some of my thoughts for the winter anime that I am currently watching. I’ve been doing weekly write ups for the winter season but did not manage to touch on all the shows I’m watching since sometimes there isn’t a lot to discuss. 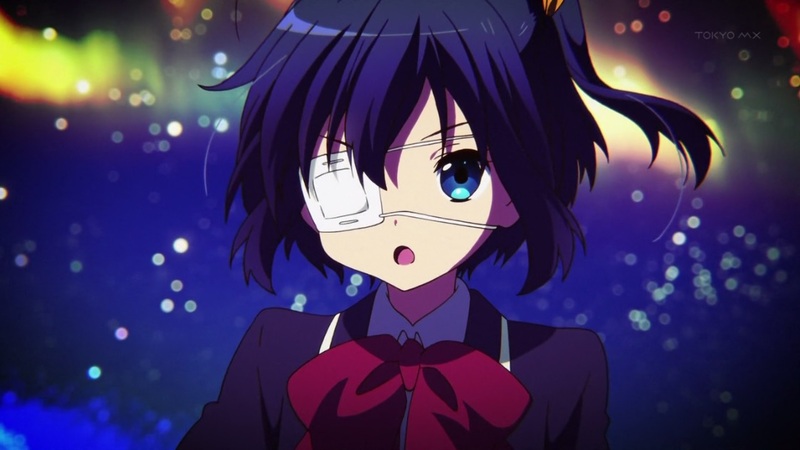 The second season of Chuunibyou seems to be more of your typical romantic comedy series despite Yuuta and Rikka establishing their relationship at the end of the first season. While it’s still entertaining, the series seems to have reverted back to their old antics with the cast going about their chuuni ways. On one hand, it’s nice to see that the characters haven’t changed. On the other, the series feels a bit lacking compared to the first season since there doesn’t seem to be a clear direction. They introduced a new character but she has yet to play any major role in the series. The most recent episodes have been a nice step up though from the beginning of the season. Rikka and Yuuta’s relationship has been developing more, even if at a snail’s pace. I feel like the comedy in this series is really hit or miss. They have a lot of parodies and references to other series/popular culture which enhances the viewing experience if you can recognize them. The comedy is also kind of forced, but that can be a good thing as well. Sometimes, just the way they force a joke makes it humorous. I really do like the cast for this show though. Roka is a quirky and awkward girl who is passionate in her hobbies. Takao is probably one of the most loveable characters. While she’s a tsundere, she’s more forward and open with her feelings towards Kenji which gives me a warm fuzzy feeling every time I see them interacting. I wouldn’t mind if Kenji toned down a bit on his constant shouting but it’s part of his character and the comedy. 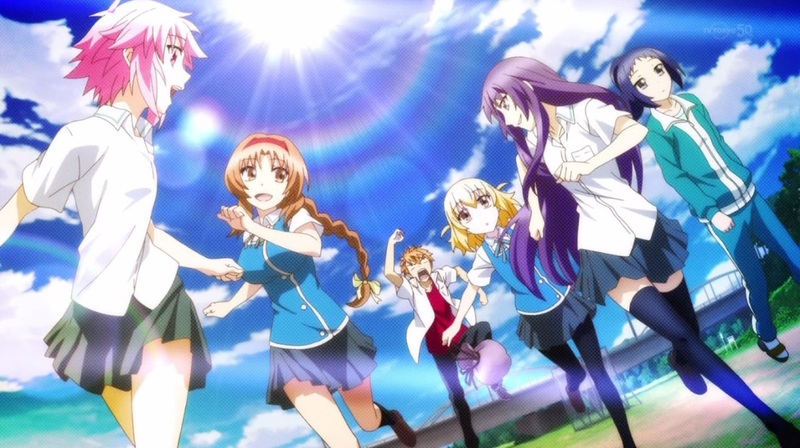 Overall, D-Frag is an enjoyable series and one of the ones I look forward to the most every week. There isn’t much to say about the series. 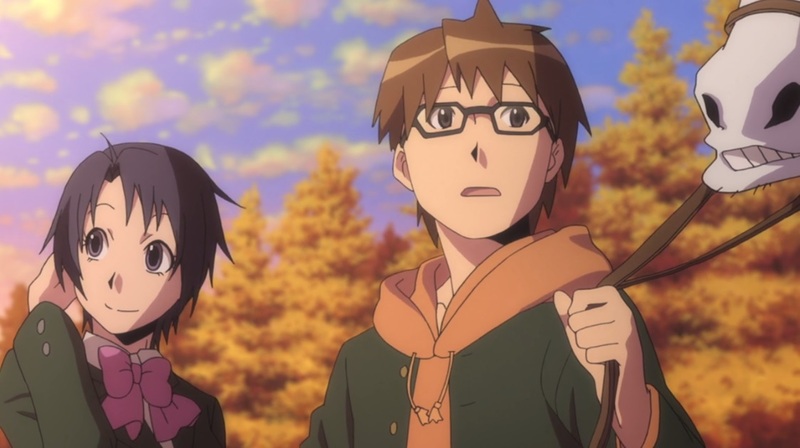 Gin no Saji is probably one of the best slice of life series that I’ve seen in a while. Not only do we get to sit back and enjoy a slice of life show, we also get to learn about a completely different culture. Many of us (or at least me) aren’t familiar with the farming life. Gin no Saji really enlightened me on a lot of different aspects to farming that I never knew before. In addition, we get to watch how Hachiken finds himself as a person. Growing up, he was always under a lot of stress from his parents but ends up escaping to an agriculture school. He gets to see a whole different side of life while learning more about himself and others around him. This show has a lot of potential with it’s concept but I feel like it lacks in execution. The series is almost episodic by having the Hamatora investigate a new case every episode even though they all kind of connect in some way. It also lacked a lot of backstory for the characters, although we’ve been getting a lot more in recent episodes. The series also has a lot of good themes/messages throughout but they don’t seem to carry much of an impact due to the way it’s executed. I feel that the pacing for some episodes could be a lot better as well. A few episodes have a lot of jumping around or flashing of somewhat random scenes. 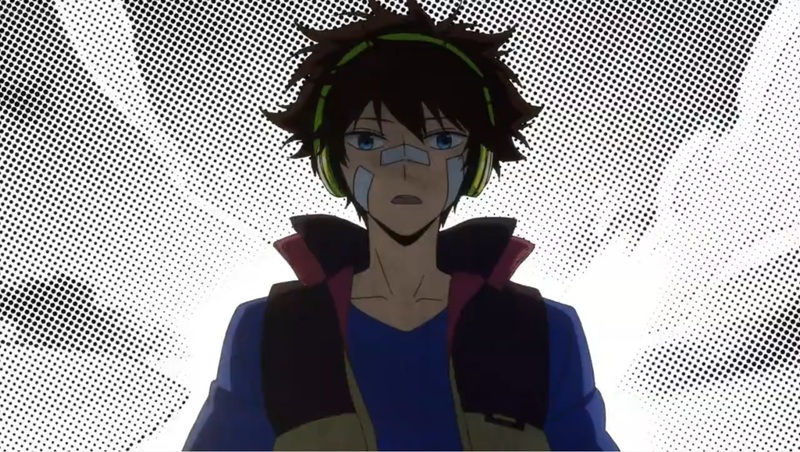 Regardless, I still find Hamatora to be entertaining with an interesting story. I’m looking forward to see how they finish off since there still seems to be a lot of unanswered questions. This series is alright but it hasn’t really impressed me. The characters and plot are pretty cliche. The characters escape from their real world and enter a world where magic exists. The one thing I do like about this show is the cast of voice actors (Touyama Nao, Miyano Mamoru) but aside from that I don’t have many other thoughts on the show. It just kind of seems like in their “real world”, everyone is a jerk and humanity is scum based on the characters’ backstory. I wasn’t expecting much when I heard it was a 4-Koma adaptation. However, this show really surprised me by having an actual story and character development. 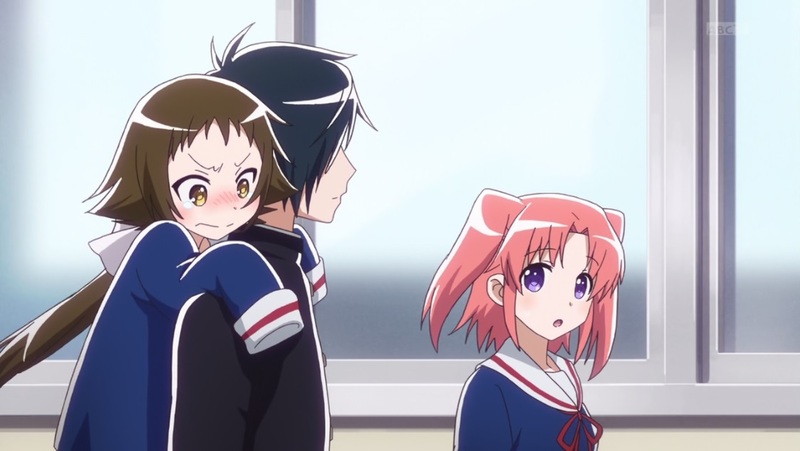 Kobeni is “forced” into an arranged marriage because of her grandfather. She’s never had any real aspirations in her life and had to live in the shadow of her popular older sister. As a result, she’s a little unsure of how to approach the whole situation because she can’t seem to understand why anyone would want to marry her. We get to watch Kobeni and her new “family” get used to their new lives living together a long as well as watch their silly antics. This was a highly anticipated series for me since the manga was very popular prior to the adaptation. It’s your typical romantic comedy/harem series but it differentiates itself on the execution of the series. Being produced by SHAFT, it has a unique artistic spin to it which makes it visually stunning to watch. I found all the characters to be likeable which makes the show much more enjoyable for me. Ichijo is a pacifist who grew up in a violent environment and just wants to live a peaceful life. Onodera is your typical shy, quiet girl who has a crush on the main character. She’s basically your generic “perfect” woman who is nice and generally good at everything. 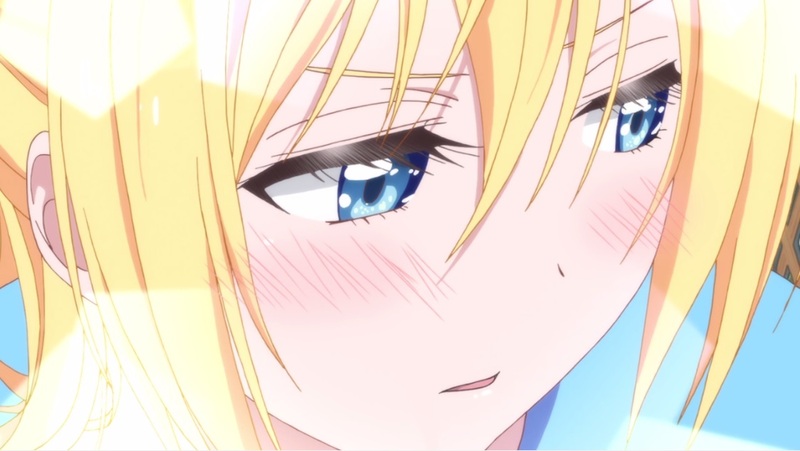 Chitoge on the other hand is more vulgar and violent due to her upbringing but its understandable since she missed out on a lot of childhood experiences. This is a pretty fun series overall. While I’m not really into history, that doesn’t mean I can’t sit back and watch giant mechas and samurais battle it out. I think the series would be a lot more enjoyable if I did understand all of the historical references though. 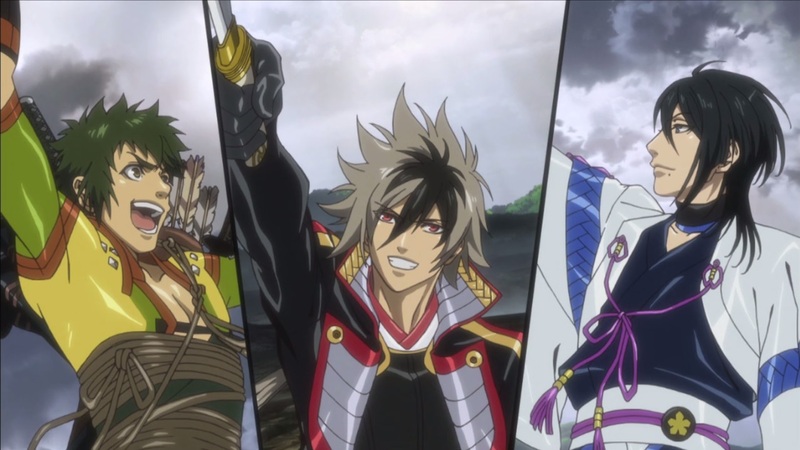 Nobunaga is a headstrong protagonist who tends to run off and do his own thing regardless of what others say. I think that this series might have started off a bit slow but the last few episodes were definitely worth watching in my opinion. We get to see tension rising as the characters are heading towards a war and how the pressure affects the characters. I’m glad that this is a two-cour series since if it were only 12 episodes, we’d spend too much time on world building and not enough time on character development.